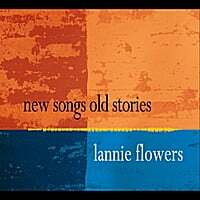 Lannie Flowers-New Songs Old Stories. I wanted to like Lannie Flowers' 2008 debut album Same Old Story, but it was really a tease - one short snippet after another in a medley of thirty-something overall song fragments. In 2010, he released Circles, which consisted of proper full-length songs and it was a revelation, placing #8 on my year-end list. To follow that up, Flowers went back and resurrected nine tracks from Same Old Story to record as full songs, based on requests from his fans. Having done that, he's bucking for a return trip to my top 10 as he continues his mastery of power pop. The Who-like "Another Weekend" opens things in rocking fashion, "Come on Girl" has an early-Beatles/Merseyside feel to it and "Give Me a Chance" is picture-perfect jangle pop. Now he just needs to do a few more volumes of the remaining 25 songs from Same Old Story. The JAC-Faux Pas. Aussie Joe Algeri has been around a while, as a member of Jack & The Beanstalk and most recently the power pop supergroup The Britannicas, as well as several solo records to his credit. His latest is a solo effort, but he's chosen to go by "The JAC" here. Faux Pas is a pop record through and through, full of the various styles Algeri has shown throughout his career, ranging from the ramshackle 60s pop of opening track (and mission statement) "Play All the Instruments" to the straight-ahead power pop (if not straight-ahead lyrics) of "I Just Want to Be Weird" to the almost punk-pop of "Julie Got Angry". There's plenty of good ol' goofy weirdness here with fun tracks like "I'm a Glass of Orange Juice" and the Ray Davies-esque "Romano the Dog". And just to make the whole experience extra fun, Algeri includes a bonus disc of 10 covers titled Drugs, Trucks & Jesus. You can't say you won't get your money's worth from this one. 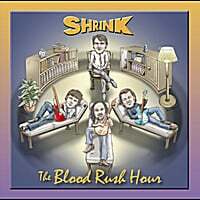 The Blood Rush Hour-Shrink. Now here's a pleasant pop surprise. The Blood Rush Hour are a four-piece Welsh band led by Robert DiStefano, and Shrink is an effervescent piece of British pop that channels Jellyfish and XTC. Opener "The Way Back Home" with its piano-and-horns backing as well as the buoyant "Delme" bring to mind fellow Brits The Feeling, while the frenetic back-and-forth stylistic shifts of "Into the Fire" and "My Life With the Omni One" have a Bryan Scary-meets-Jellyfish vibe. Elsewhere, "The Trauma Factory" and "Gone (Where Nobody Can Find Me)" show their appreciation for pre-Beatles British pop, and "The Tale of Sir Lancelot" along with closer "Show Me Your Self" also effectively show off their pop chops. This is an impressive a power pop debut as I've heard in the last couple of years, so don't shrink from picking this one up. 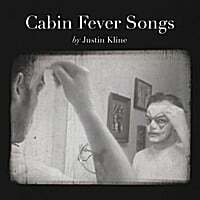 Justin Kline-Cabin Fever Songs. Taking a break from his usual peppy pop tunes, site favorite Justin Kline is back with a lower-key, contemplative effort this time around which nonetheless shows off his gift for melody. The lo-fi, largely acoustic version of Kline sounds quite a bit like Elliott Smith or Connor Oberst, and the opener "Nighttime Girl" is an irresistible slice of folk/pop. Despite the lack of a "big" sound, "Your Mystery" manages to get the toes tappin', and "Carol Lynn" is a gorgeous number that would have fit in perfectly as a change-of-pace on one of his previous albums. A perfect album for a rainy Sunday afternoon. Supraluxe-Fuzz. The band which indirectly led to the creation of this site is back with a brand new EP after last year's return to form of The Super Sounds of Supraluxe. This one's called "Fuzz", which was the band's name in its original incarnation, and bassist Rich Pearson told me it was an intentional attempt to sound more consistent after the sonic adventures of Super Sounds. 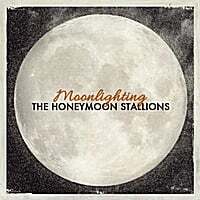 It certainly does have that classic Elliott Smith-meets-Big Star Supraluxe sound, with "A Little Radiation" and "Heavy Mustang" both dense and melodic. "Absinthe on the Beach" is another standout, a bright pop song that fits the mold of their sound. Great to see them back so soon, and word is that they have another 13 or songs lined up for their next full-length. Heap-Defriended. NYC rockers Heap are back with their first release since 2008's Oddball, and with these seven new high-energy melodic tracks it's like they never left. "Finger of Fate" rocks with swagger, "I Bet You Could" has a Rockpile pub-rock feel to it, "Noel Ford" continues their tradition of character stories going back to Oddball's "Running With Roosevelt Colson" and "Idiot Lust" channels 80s hair/glam metal. Fans of Cheap Trick, The Replacements and The Figgs will want to click the "like" button on this one. Over the last 18 years or so, Scot Sax has been a big deal in the power pop community whether it be his solo material or band efforts with Wanderlust, Feel and Queen Electric. So it's noteworthy to have two Scot Sax-related releases out this summer, one of which features a Wanderlust reunion. Wanderlust-Record Time. It's been a year of power pop reunions (Shoes and dBs among others), and none is more welcome than Wanderlust's. With bandmates Rob Bonfiglio (a fine solo artist in his on right), Mark Getten and Jim Cavanaugh back in tow, Sax led them in recording a "live in the studio" record of new material. Instant classics abound, from the opening rocker "Lou Reed" to the melodic and soulful "Blow Away" to classic rock sound of "Fork in the Road". It's been 12 years since their last album, but it doesn't sound like a day has passed. Scot Sax-The Los Angeles Years. Also newly out via Bandcamp is a 15-song collection of unreleased "songs written and recorded in the fun-loving, sushi eatin', sunny songwriting days from the Warner/Chappell years in Los Angeles 1999-2005", as Sax himself puts it. While Sax was penning tunes for megastars like Faith Hill and Tim McGraw, he continued to record his own material and some of these tunes stand among his best. "Cell Phone Again" recalls his slightly-mellower sound in Feel, "Busy Being Free" is a charming, bouncy, piano-based number, and "OK, You're Beautiful" sounds like it had to have been a hit for somebody at sometime. This must-have for Sax fans is a digital-only release at Bandcamp.